This fall we will be presenting our anti-bullying program to third grade classes in the Hamilton and Cincinnati school areas. We believe it is a great program that teaches children what bullying is, how to help themselves and that difference are good. 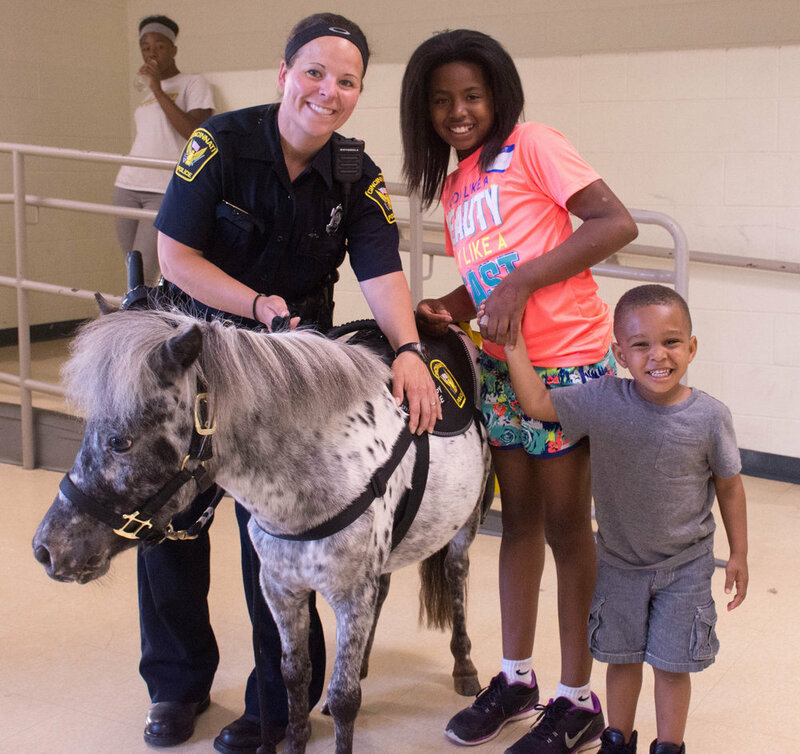 The program uses our miniature horses to present concepts and ideas to the children they will remember and understand. We also partner with Officers from the Hamilton, Ross and Cincinnati Police Departments to help present the program. Each classroom receives a teachers guide with activity pages and ideas for classroom use. The children also get to meet our horses at the end of the presentation. As you might guess the program has a cost related to it. We do not charge the schools we visit, we feel the program is important and every child should be a part of it. We are encouraging local businesses to partner with us and help bring this program to every third grade student in our community. Partnering with our local businesses helps us be the place where compassion meets action. Each partner will see directly how their dollars are being used to teach and empower the children we touch. Do you or do you know a business that might be interested in partnering with us to present, "Just Say Whoa to Bullying"? Contact Lisa or anyone on our team and we will show you first hand how you can be a part of this exciting program where compassion meets action. Your dollars allow us to be your hands and feet in the lives of our students in our local schools.